The Grand Victorian is a destination of choice for Tulane and Loyola University parents, and we welcome back many parents who choose to stay with us each year. The streetcar can pick you up just outside our front door, and it is a quick 10 minute ride to the universities. You can easily hop on the trolley, go to the Superdome for graduation, hop on again and go to the universities for the ceremonies! 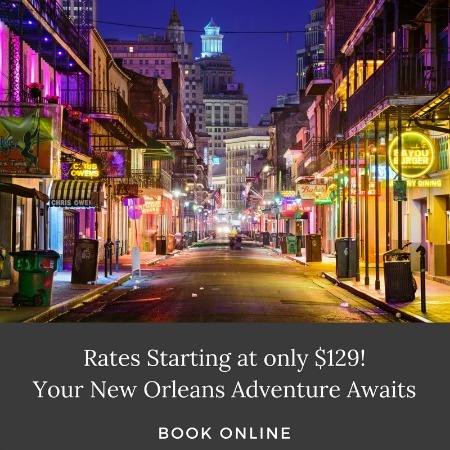 We are also convenient to the French Quarter and have dozens of great restaurants within walking distance of our bed and breakfast in New Orleans. If you are coming for orientation, Innkeeper Bonnie Rabe is a lifelong resident, and can tell you everything you need to know about living and learning in New Orleans. Several of our spacious rooms can accommodate a third person for you and your son or daughter before they check in to their dorm or apartment. We look forward to meeting you during orientation and staying in touch each year for parents’ weekend, general visits and eventually graduation festivities. Every bedroom is named after an historic Louisiana plantation, and each bed features a custom-made mattress with an additional feather mattress for added luxury. The mansion also offers complimentary wireless Internet access. More about our rooms in our bed and breakfast in New Orleans. Our continental breakfast consists of many baked goods and fresh produce, we have something for everyone. More on breakfast in our Louisiana bed and breakfast.